Northwestern University School of Law, 1987 J.D. 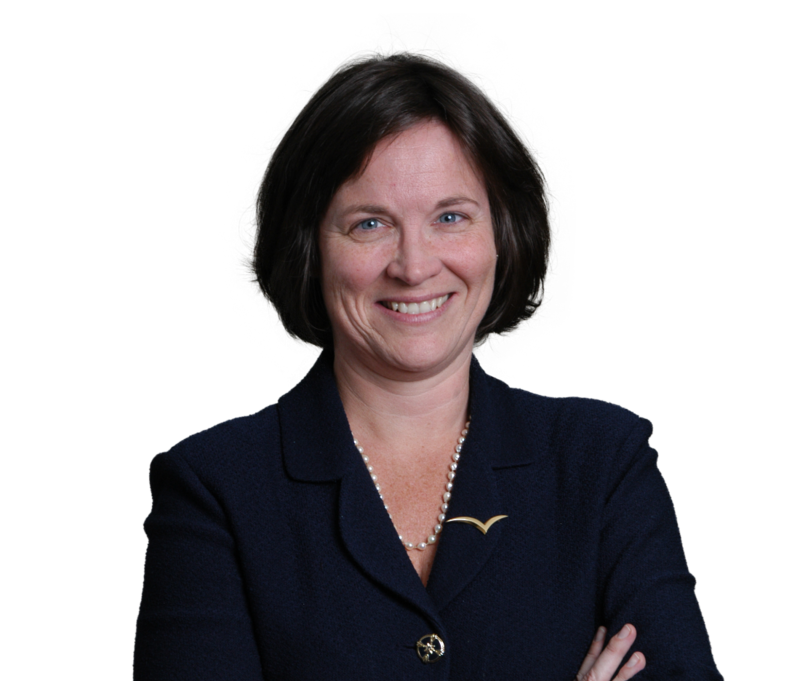 Susan Burke is a member of Pedersen & Houpt's Corporate and Business Counseling Practice Group and Private Capital and Employee Benefits Practices. Susan handles a broad range of matters for private equity and venture capital investors, as well as clients with technology (hardware and software, including SaaS), manufacturing, services, franchising, consumer products and real estate businesses, concentrating much of her practice on private capital, merger and acquisition transactions and securities law compliance. She also provides comprehensive legal support and counsel on both personal and business issues to closely-held and family-run businesses, including their governance, employment and intellectual property matters. Susan leads the firm's employee benefits and ERISA practice, providing guidance in connection with merger and acquisition transactions as well as ongoing counseling and support to the firm's single and multi-employer 401(k), profit-sharing plans, ESOP owned companies and Taft-Hartley pension plan clients. She works regularly with plan administrators and board trustees. Susan also has extensive experience with qualified plan correction programs. Together with the firm's Employment lawyers she also crafts non-qualified compensation plans and C-suite employment agreements. Forging productive relationships with her clients by listening closely to their needs, Susan analyzes the legal implications of their issues, and responds with strategically appropriate solutions. Susan's deep understanding of individual client business goals and objectives is the basis for her exceptional track record in negotiating transactions for newly formed and mature businesses, companies seeking investment, expanding by acquisition or re-focusing by disposition. She has also successfully handled complex ownership and management agreements for hospitality clients and performed in-depth "blue sky" (state securities law) analyses for numerous transactions. She has extensive experience in fund formation and operations, initial and secondary public offerings of equity, Regulation D (including 506(c) offerings), PIPEs, 144A and Regulation S private placements. Susan has negotiated with significant shareholders, underwriters, regulatory authorities and exchanges involved in numerous IPOs. She counsels publicly-held entities and individuals associated with them on all aspects of ongoing reporting and compliance matters, including Sarbanes-Oxley Act and Dodd-Frank Act compliance. Susan also has worked on construction, working capital and acquisition financing arrangements for borrowers and lenders. She also works with the firm's litigation practice to resolve such securities-related disputes and issues, such as the mishandling of investment funds and broker-dealer compliance. Outside general counsel to a start-up employing Bluetooth 4 to provide app-driven messaging and advertising to small business. U.S. general counsel to a synthetic turf company in connection with capital and debt forging, governance, franchising subsidiary and employment and compensation matters. Counsel to Taft-Hartley pension plan in connection with merger of plan with other Taft-Hartley plans in same trade. Counsel senior executives and HR department on all employee benefit plan issues for a U.S.-based manufacturer and worldwide supplier of nozzles and spraying equipment, including administering profit sharing and 401(k) plans; drafting and maintaining self insured grandfathered employee health and welfare plans; guidance on COBRA and HIPAA compliance, and drafting of all forms used to administer client health and welfare plans. Outside general counsel and benefits counsel to 100% ESOP owner S corporation, including all administrative issues related to ESOP/401(k) plan. Expert witness in connection with securities and indemnification matters. Led refinance of $400+ million manufacturing and services company to provide liquidity and diversity to family owners. Represented 44% of shareholder group in redemption of their interest in a manufacturing company valued at more than $500 million. Represented executives of Fortune 100 businesses, and other large privately-owned companies, in connection with employment agreements and separation agreements. Counseled a client seeking first and second round equity investment to develop a colonoscopy alternative. Guided a $20 million first round equity investment for a news and information broadcasting company for the Caribbean basin. Represented first franchise in development agreements for two transactions of new fast casual pizza concept (IL and FL). Represented purchaser of assets comprising the Baton Rouge franchise of a well known steak restaurant and the transfer of the franchise. Advised two charter air transportation companies on several rounds of private equity investment, as well as provided counsel on aircraft acquisitions and financing. Negotiated management agreements on behalf of hotel owners of major market and suburban hotels with major hotel management companies. Served as lead counsel to distressed equity real estate fund, including fund formation, acquisitions, dispositions and line of credit. Represented franchisors of various restaurant concepts and counselor to various franchisees of restaurants and other concepts. Served as company counsel in agreement among shareholders of an urban-focused advertising agency. Served as buyer's counsel for a network of branded ATMs located in four Midwestern states. Represented lender for a $100M+ acquisition line of credit to a private equity fund. Represented purchaser in connection with first transfer of the original franchise location of a prime steakhouse. Represented issuer for first two rounds of private placements by a green energy/energy efficiency consultancy and services business. Represented an apartment complex developer as the borrower in connection with an Industrial Development Bond from State of Nebraska. Completed a PIPE Transaction for a gaming and amusement hardware manufacturer. Should Your Board Retain Independent Counsel?